Every business owner knows how important it is to have insurance on the things that keep their company going. So, if your something happens to your office building or service equipment, you can just rebuild and carry on. However, the one thing that is much more valuable and harder to replace than the bricks and mortar of your business is all of the data that you’ve spent your entire career building on. Client contact info, inventory records, proprietary processes and systems: All things that can be lost forever if you do not have a proper Disaster Recover plan in place! ComSolutions proactively develops emergency hardware and data solutions for our customers that prevent failures in the event a natural disaster, hardware failure, or virus. There is no room for half-baked solutions that fail at crunch time. Our solutions range from simplified local backup and monitoring, to cloud storage, to 24/7/365 live server replication to the cloud. Much more than just tape backups, CSI can help you synchronize your entire organization through the use of cloud backup and cloud file synchronization – even with all your mobile devices. The benefits of off-site backup, combined with file synchronization and cloud file security – all in one. What happens when a hurricane hits and the building floods? What happens when aliens land and want to terraform planet earth? What happens when the zombie apocalypse becomes a reality? You replicate your entire server to the cloud! We help businesses by making sure that not just their data is secure in a off-site location, but that a virtual server can be brought up and used in the event of an emergency. We insist that our clients have no cause to go out of business for lack of a comprehensive IT solution. 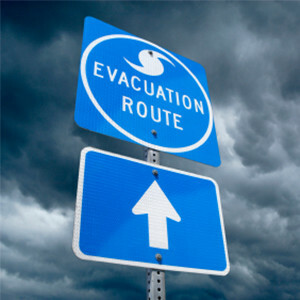 To speak with a Disaster Recovery Specialist, contact us today.